Candy Buyback on Nov 1st! 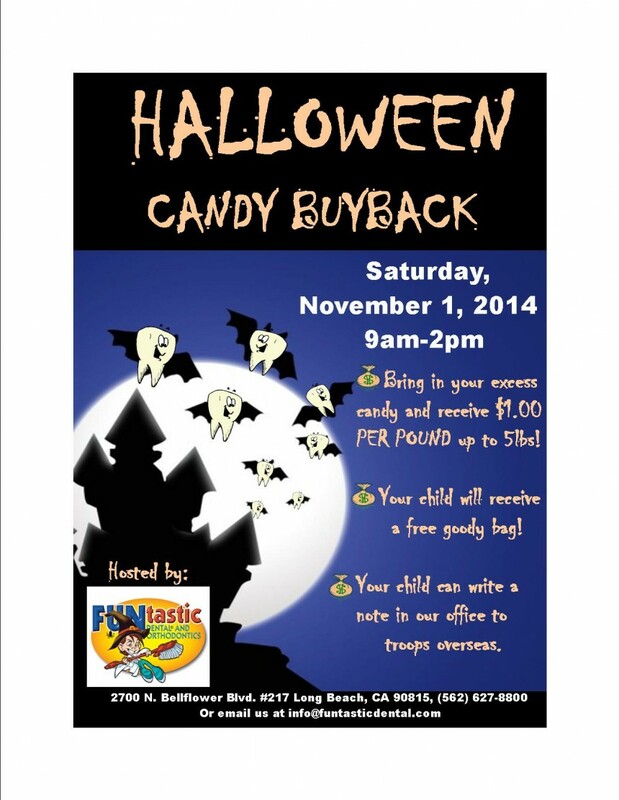 This year FUNtastic Dental knows the damaging effects of too much candy on children’s teeth. So this Halloween they hope the kids in the area will turn in their candy for a nice cash prize! The day after Halloween, Saturday, November 1st, bring your unopened candy to the office between 9AM and 2PM and FUNtastic Dental will pay them one dollar per pound of candy. Call us for details (562) 912-2007.